All you folks who came to Florida from the North, this may come as a complete shock to you. It's now time to plant your warm-season vegetable garden. Get ready for nine glorious months of gardening. As we all agreed on last post, it's hot. But it's August 15. And time to get our warm-season vegetables planted, especially since some vegetables need 90 days to mature. We want to give vegetables like corn, eggplant, pumpkins, peppers, tomatoes and watermelons plenty of time and avoid the possible fall frosts and early freezes (especially in the more northern Florida zones). Click here for fall gardening tips. Building new beds or setting up new planting areas if needs be. Weeding and cleaning up existing garden. Doing a soil ph test while we're at it. Recharging our garden soil with organic matter, manures, and/or worm castings. Planning our gardens. You know, where to put what. This is the time to consider companion planting options and plant heights for peaceful co-existence, at least for the plants. Getting those long-timer's in right away, the ones that take f-o-r-e-v-e-r to mature. 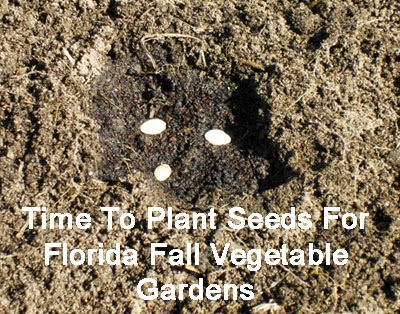 Picking up seeds and starting them in flats or pots. It's time to grab those garden gloves and get going, Florida gardeners. I'll watch from here in the AC, if you don't mind. For faster seeds sprouting and more vigorous seedlings, apply VermaPlex® to seeds before planting. Soak seedlings root ball with VermaPlex® when transplanting to virtually eliminate transplant shock. Mix Pure Black Castings in the garden soil and line planting holes, providing slow release fertilizer as your seeds sprout. 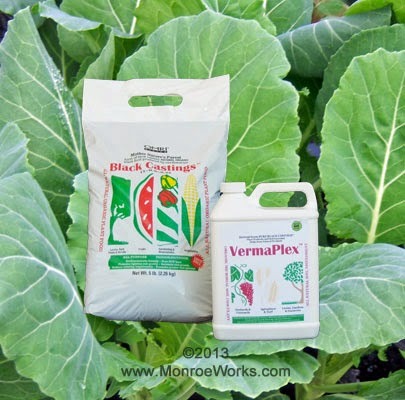 When transplanting seedlings, line planting holes, top dress, then wash in with VermaPlex®. Click here for planting guides and use/application information on these certified organic fertilizers.